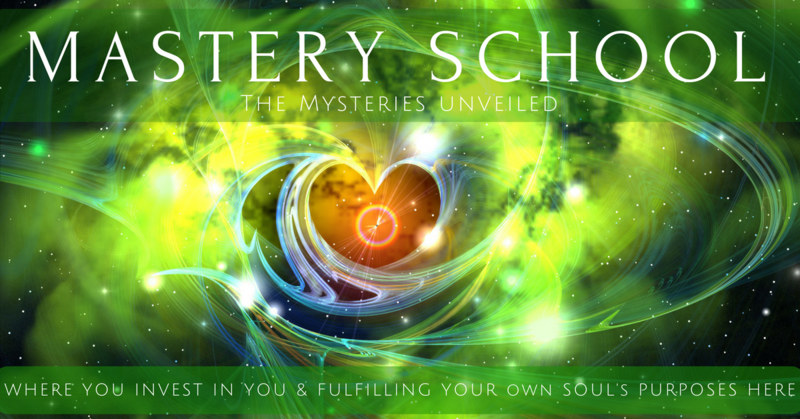 Ascended Mastery, Quantum Mastery, Everything Mastery that your Heart & Soul Desire! Get ready to catapult in magnificent expanding LIGHT UPGRADES delivered through the receipt of ancient knowledge just by being a part of these courses and our online Light Family CommUNITY! These are for the Soul/Star Being that has been on this journey and actively participating in continued expansion and is ready to step-it-up and further expand into MASTERY here! YOU ARE WORTH IT! REMEMBER WHY YOU ARE HERE! COME EMBRACE YOUR MASTERY WITH US! ♥ Remembering Mastery, Quantum Existence (Beyond the Perception of Time), Alchemy, You as CREATOR and an ALCHEMIST again, Creating Parallels at Will, Integrating All Dimensions & the Higher Realms here in the Physical (Earthly Plane). MP3 Activation: (5) Ancient Energies Clearing (6) Evolution of a HUman Star BEing. These are intensive, live course/workshops where WE share ancient knowledge & wisdom brought forth to assist those seeking to transcend their previous human limits and embrace their own mastery here now. The human is limited, yet we are not. REMEMBERING this takes utilizing tools of expansion to allow our remembered realities to come forth. WE share with you how to do this yourself, how to become empowered and how to embody this in the physical. Learn what to look for, listen to, how to create again. Understand that which is backwards and only available in the silent moments of connection AS your higher self. Remembering is what we do as we expand. Learn how to bring the higher realms reality into the physical to actually exist in/as. This is not "out there" or long away in the future. This is NOW. Your memories of beyond here await you. If you desire this, then join us. These are tailored to answer all of your questions and to assist you in REMEMBERING all again. Join us in love to honor the sacredness of this journey while having lots of fun!